Are you interested in learning about Business Process Management but getting lost in the terminology and numerous acronyms? 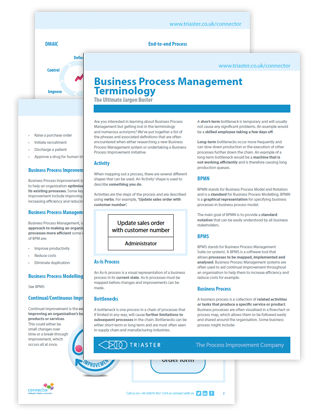 We’ve put together a list of the phrases and associated definitions that are often encountered when either researching a new Business Process Management system or undertaking a Business Process Improvement initiative. Download a copy by simply filling in the form on the right.